On a night when little went Barça's way, it was no surprise that the team's captain, Andrés Iniesta, was on the front lines after the game, trying to make sense of what went wrong, while also attempting to assuage the biggest fears of Barça fans everywhere. "It's difficult to explain," he said. "This is a competition with no margin for error." Iniesta was right, as Paris Saint-Germain seemingly took advantage of every opportunity they had in defeating Barça by a score of 4–0 on Tuesday night. "We had a bad day," he admitted, while being sure to maintain a slight flicker of optimism. "We have to think of the return leg and turn it around on the scoreboard." Iniesta continued: "These things happen sometimes. But we have to get up, dust ourselves off and, in the meantime, not forget about the other competition we're in." The first person to attend to the media following Tuesday night's tough defeat in Paris was the midfielder, Sergio Busquets. It was a tough spot to be in, but Busquets, who played all 90 minutes and completed 54 of 59 passing attempts, was honest. "They were better than us," he said. "The score might be a bit exaggerated, but that's football." That pretty much summed it all up. On a night when PSG found the net four times, there were few positives to draw from. But that doesn't mean all hope is lost. The last 16 tie is only half over, and the two sides meet for the second leg at Camp Nou on 8 March. 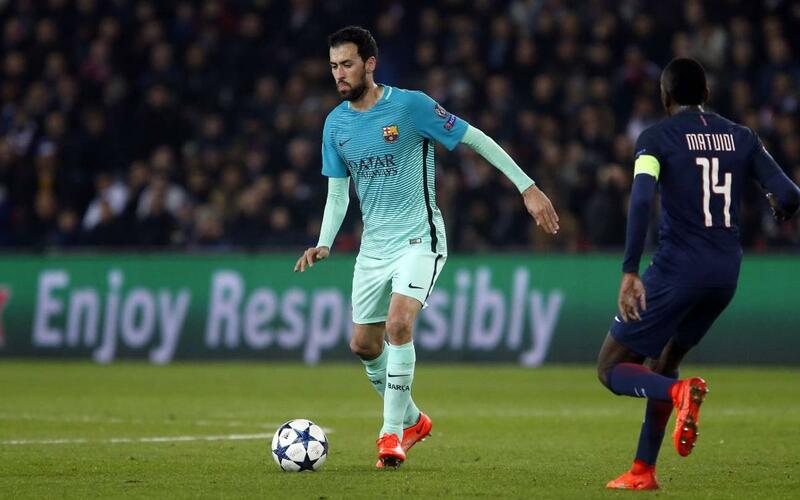 "We have nothing else to do except correct out mistakes and go back to Camp Nou and try there," said Busquets. "It's going to be tough, but we'll try." But if there's anyone out there who knows how much work Barça have cut out for them, it's third-year head coach, Luis Enrique Martínez. "There's a simple explanation," he said. "Our opponents were superior, they won a majority of the duels, and they were effective." "The score reflects what happened in the game," he concluded. But despite those points, which jibed with the feelings of both Iniesta and Busquets, Luis Enrique — ever the optimist — is also holding out a smidgen of hope for the return leg at Camp Nou. "We're a team that has shown time and again that we know how to come up big," he said. "It will be tough, but we'll have a chance."